Ask any two people for their definition of “spirituality,” and you can expect to receive two very different responses. There are many people who don’t self-identify as religious, yet believe with every fiber of their being that there is a power greater than them, that the positive energy they exude travels and affects everyone and everything around them and that the search for truth is essential in order to be aware of who they are and what their purpose is on Earth. 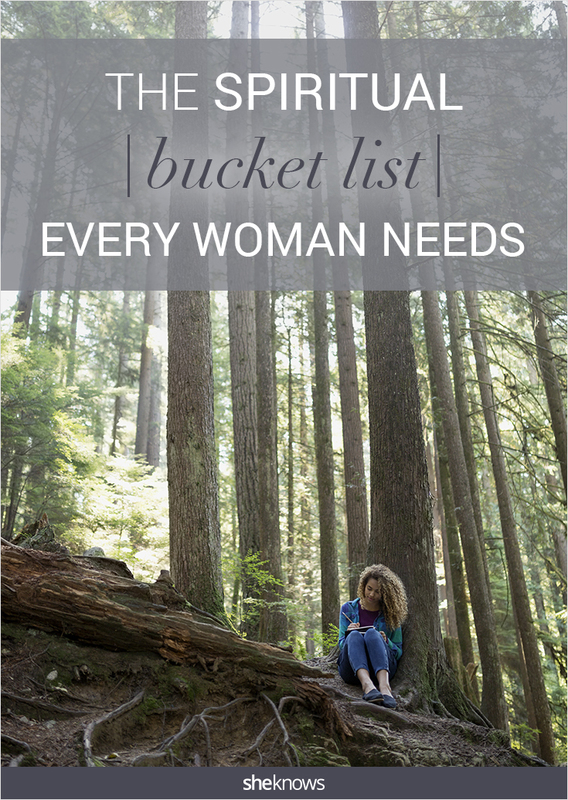 A bucket list can serve as a pretty nifty tool to help keep us on track with our life goals. And a spiritual bucket list involves actions, behaviors and conscious changes to our way of thinking that we can practice every day to help us become more at peace with ourselves and the world around us. These 15 spiritual bucket list items may be exactly what you need to motivate yourself as you continue on your life journey. Life is too short to spend it feeling bitter and unwilling to forgive a friend for some mistake she made after 15 years of friendship. We all make mistakes. Sometimes we even make mind-blowing, horrifically bad mistakes. If your friend has apologized and wants to make amends, consider giving in. Even if your relationship can never be the same again, not carrying that baggage around with you will make your heart lighter. What if you’re the friend who betrayed someone else? Or you’ve committed an act that eats you up inside? Owning your mistakes is the first step toward redemption — but it’s crucial that you forgive yourself and not allow your past poor judgment to dictate how you live the rest of your life. Even if you’re not the “type” who visits therapists, or you don’t feel your problems in life are big enough to justify speaking to a professional, consider making one (or a few) appointments with a therapist to unburden yourself of emotions you find difficult to handle. Use those visits to reveal something you never thought you could. Pretend you’ll never see that person again and be brutally honest and naked with them. If you can feel it, it isn’t good or bad — it’s just an emotion. Acknowledge your feelings of jealousy, rage, sadness, lust. Feel them until they subside and don’t confuse your right to feel them with your right to act on them. There are times when you may want to say or post something negative about someone online, even a public figure who is a universal source of anger, fear and frustration (Hello, Donald Trump and Kim Kardashian). Ask yourself why you feel the need to spew negativity and whether there’s a more objective, thoughtful way of expressing your thoughts. Remember that you’ll only be releasing more negative energy into the universe and that negativity breeds negativity. Keep two books on your nightstand at all times: something light and funny and something pensive and difficult to digest. Even if you’re busy, read three pages from each book every day. Don’t wait for someone to invite you to dinner or a movie. Treat yourself to an excursion and take care of yourself. Sit at a restaurant or diner, smile and make small talk with your server and spend your time observing people around you, thinking about your life and savoring your food without any distractions. 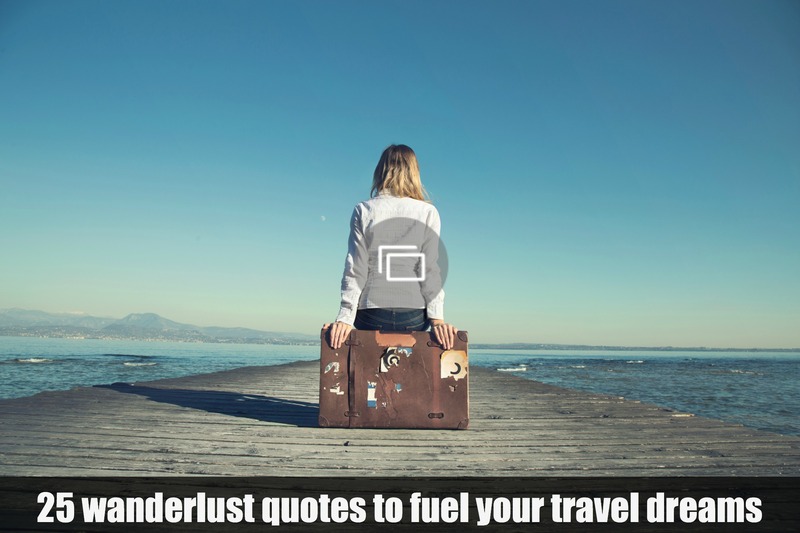 The idea may seem terrifying at first, but the second you hand over your boarding pass, settle into your plane seat and kick off your shoes, you’ll know the meaning of the word liberated. Traveling solo gives you an opportunity to selfishly set your own agenda and explore a city or town according to your personal clock. It will also teach you a great deal about how you interact with what’s foreign to you. Visit a local farm, choose fresh produce and meat and research recipes based on the seasonal food you’ve collected. Go home, turn on a little music and slowly follow each step of the recipe, allowing yourself to get lost in the Zen of dicing, peeling and marinating. This close, personal interaction with your food will help you feel extreme gratitude for a necessity so many of us take for granted. Okay, maybe not everything. But stop saving every little memento that forces you to hold on to a part of your life that has already been lived and keeps you from existing in the moment. All of those love notes and old clothing you haven’t worn in 10 years — toss ’em. The life lessons and memories will still be there and you’ll have a lot more room for the things you need now. While having a conversation with someone, don’t think about what witty remark you should say next. Before responding, inhale and exhale at least once. Ruminate on what they’ve said and make sure you’ve really heard them before responding. Even the jerks. Especially the jerks. You once found something about them to love and cherish. Your point of view changed and that’s okay — but there’s a good chance that person helped you learn about love and put you on the path toward meeting someone who was better for you. Secretly thank him and set his ghost free. Maybe your childhood wasn’t ideal. Or worse. Adulthood is the time to confront your resentments and replace them with understanding and forgiveness so you can move on — and part of that understanding involves seeing your parents objectively and realizing they carried they own childhood baggage into parenthood. It doesn’t make any of the egregious things they might have said or done okay, but it frees you from some of the pain and resentment. Never stop finding music/movies/art that speaks to you and teaches you about yourself and others. Don’t get stuck in a culture rut and succumb to the notion that “everything was so much better” in the 90s, 80s or some other moment in the past. It wasn’t! There’s nothing New Age-y or kooky about meditation. 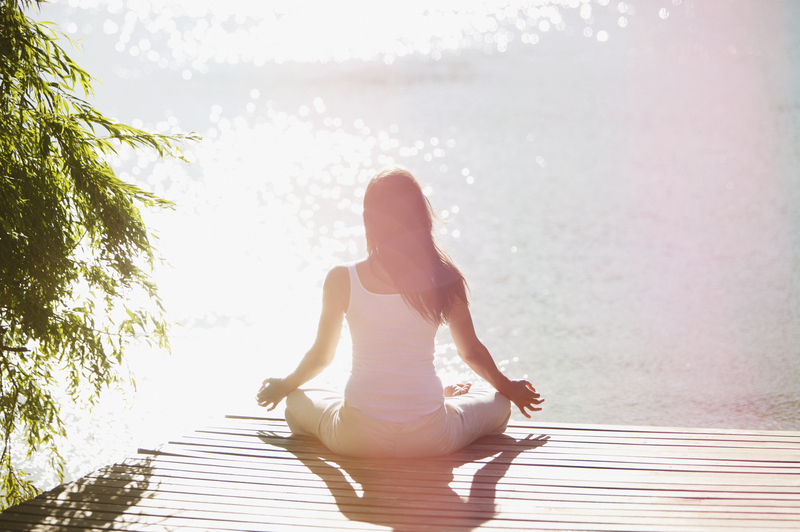 Breathing and relaxation exercises can calm and sharpen the mind, lower your blood pressure and reduce stress. Whether you opt to recite a mantra, take a meditation class or just sit in a room by yourself and focus on your breathing, meditating every day is like a daily dose of spiritual medicine.